All measurements are in reference to geographic north. 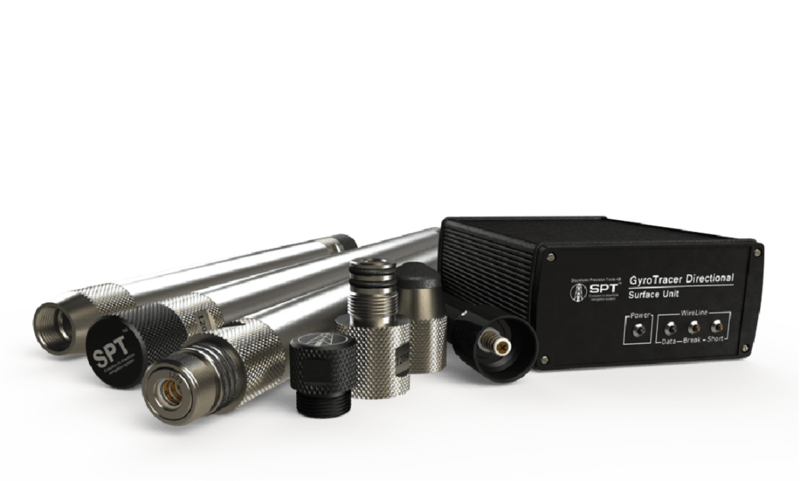 Unlike other downhole survey tools, the GyroTracer is not affected by magnetic interference. It can be run inside casing, tubing, drill pipe, and magnetically disturbed ground. The GyroTracer can be run in a variety of situations from shallow to deep borehole surveying. Use in continuous mode, single-shot/multi-shot, slim hole casing, orientation, whipstock kick-off and downhole motor orientation. Designed to function at full capacity in the harshest low/high temperature applications and environments. Built inside a Thermal Flask with continuous surveying capability at high latitudes or inclinations with no accuracy degradation. Learn more about the GyroTracer straight from the experts.